Big Falls on the Thompson River Trip Report…Finally! Author waterfallshikerPosted on October 3, 2015 September 12, 2016 Categories HikingTags Big Falls, Thompson River, Waterfall on Reid Branch5 Comments on Big Falls on the Thompson River Trip Report…Finally! 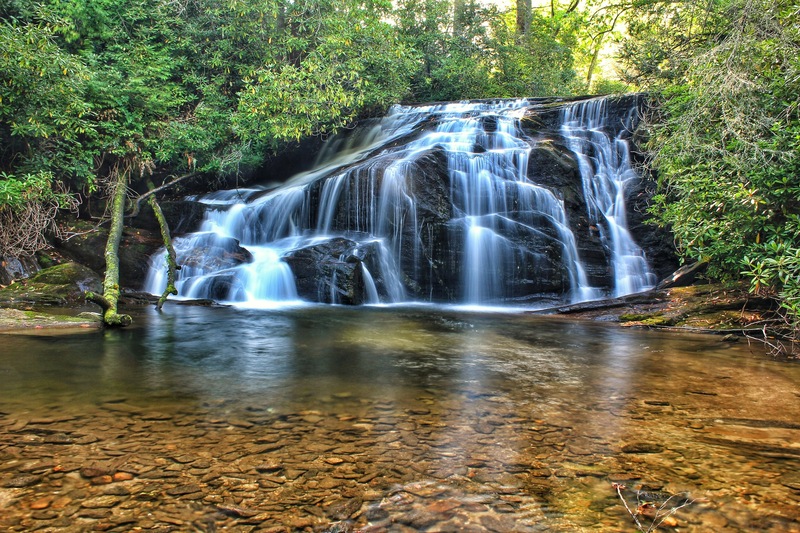 White Owl Falls is the perfect introduction to the Thompson River, in the far southwestern section of North Carolina. 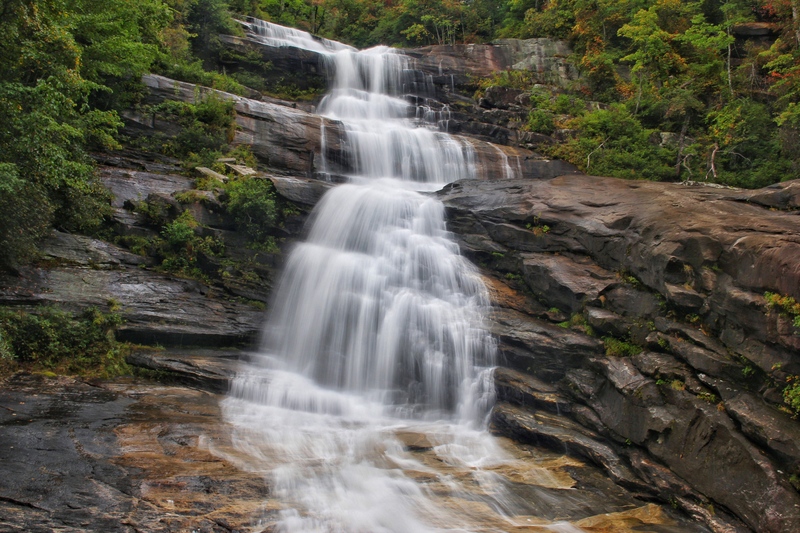 It is a beautiful waterfall and easy to get to. 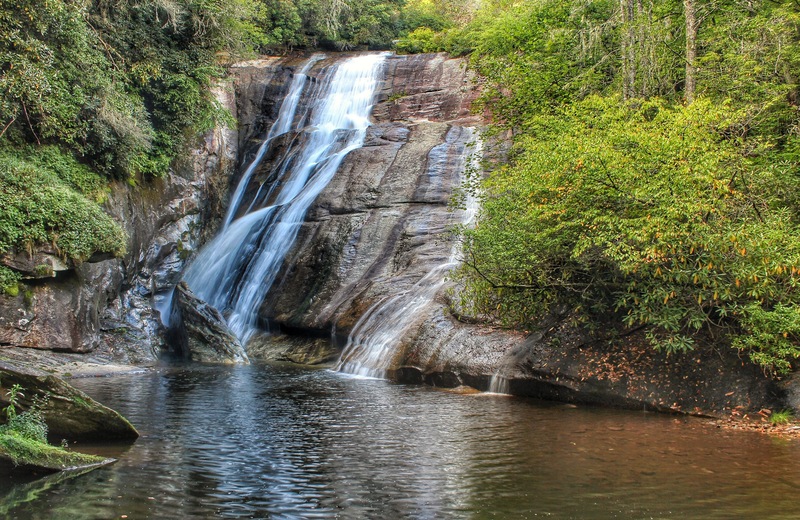 The Thompson River is probably the least known of the four main rivers that all make up Lake Jocasse in northern South Carolina, along with the Toxaway River, Horsepasture River and the Whitewater River. This land is waterfalls paradise. Some are easy to get to and some are not. White Owl Falls just happens to be one of the easy ones.